The search form is a very important part of a website allowing users to find quickly the content they are searching for. A well designed search form makes a website look professional and modern. 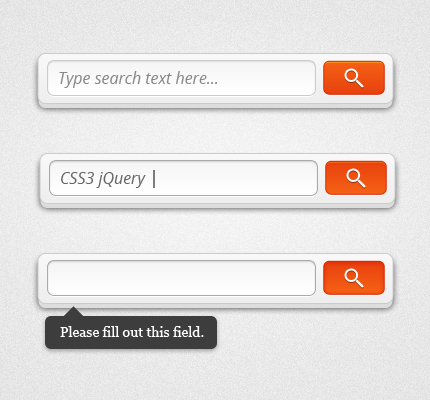 So today’s web design resource is a clean search form. It’s available in the coded version, ready to use, and in the PSD version for changing the colors and effects as you like. This search form is designed in CSS3 and has a simple jQuery validation with a popup appearing if the user doesn’t fill out the search field. You can view the demo and download it from the links below. You can use this search form in personal and commercial projects, but you can’t sell or redistribute it directly. If you want to publish it somewhere, please refer to this page.